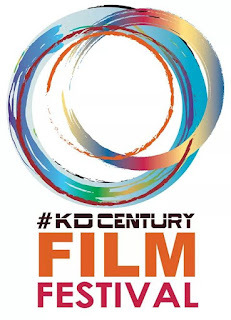 KDCentury Film Festival is organised by Ilmihouse as a commemoration of nearly 100 years of film in Nigeria. The first of its kind in the country, it is set to showcase the talent of the film professionals in Nigeria and for the first time in a film festival there is a special category of short shorts and captioned stills to showcase the budding young talent in the region. KDCenturyFF seeks to represent the most innovative and adventurous developments in Nigeria and World Cinema. It will bring worthy filmmakers to local and wider attention, and provide a forum for appreciative and informed discussion of their work. KDCenturyFF is especially interested in films by emerging filmmakers whose work is original with strength of form. All submitted films should be no more than 5 years old by October 2017 excluding Documentaries. A short shorts film is regarded as 100 seconds or under, a short film is 40 minutes or under, and a feature film as 40 minutes or over. Video Quality should be a minimum of 360p and a maximum of 480p. Promotional films are not eligible (e.g. films promoting tourism, people, appeals, etc.). Films are to be submitted in their original version. Films in languages other than English and Hausa must be subtitled into English. All media submitted for selection screenings will not be returned unless by specific request and paid for by the applicants themselves. ALL Feature Films (Fiction, Documentary, Animation and Experimental) must be Kaduna premieres. Films that have previously been publicly screened, broadcast or otherwise made publicly available (including online) in Kaduna will not be considered. International Feature Films (Fiction, Documentary, Animation and Experimental) must be Nigerian Premieres. Short (Fiction, Documentary, Animation and Experimental) films may have previously been publicly screened. International Short (Fiction, Documentary, Animation and Experimental) Films must be Nigerian Premieres. KDCenturyFF is particularly interested in world, international or African premieres. Cannot have previously been publicly screened including Online. Still Pictures with story captions must be premiers, Cannot have previously been publicly screened including Online. Each entry requires a completed submission form which is available here. All entries will be assigned a Tracking Number for identification. Films can be submitted online via www.wetransfer.com where you can share the film from your email address to kdcentury@ilmihouse.org. You are also able to drop the film in DVD format to Ilmihouse, 6 Lapai Road, Ungwan Rimi, Kaduna. WE DO NOT ACCEPT BLU-RAY SCREENERS. The DVD should be labelled with the title on the disc. Add your name, and film title on the envelope. Completed Submission Form should also be attached. Entries can be by individuals or collaborations. We can only accept one film per DVD. If your DVD does not play we will contact you and request another one. KDCenturyFF does not pay for postage/ carriage for DVDs You must pay for this yourself. Inform us of any changes to your contact details at kdcentury@ilmihouse.org. A confirmation e-mail will be sent to you once your submission has been processed. If your submission is successful you will be informed and entry Screening Guidelines including format will be sent to you. Please note KDCenturyFF DOES NOT pay screening fees. You will be required to pay for the forward carriage of your film print or video master. If your submission is unsuccessful, we will inform you as soon as possible. If your film does not match the criteria listed above and you still submit your film, we will not consider your film. The final selection of all films presented at the Festival and their placement in the programme is the responsibility of the Jury. Submission to KDCenturyFF constitutes an agreement to all rules, regulations and conditions contained in this document and your consent that your film be considered for any awards that may be given at the Festival. Submission also certifies that all film and music rights and clearances have been obtained (in accordance with copyright laws). By submitting, you agree not to withdraw your film from KDCenturyFF after it has been accepted by the KDFF selection board.